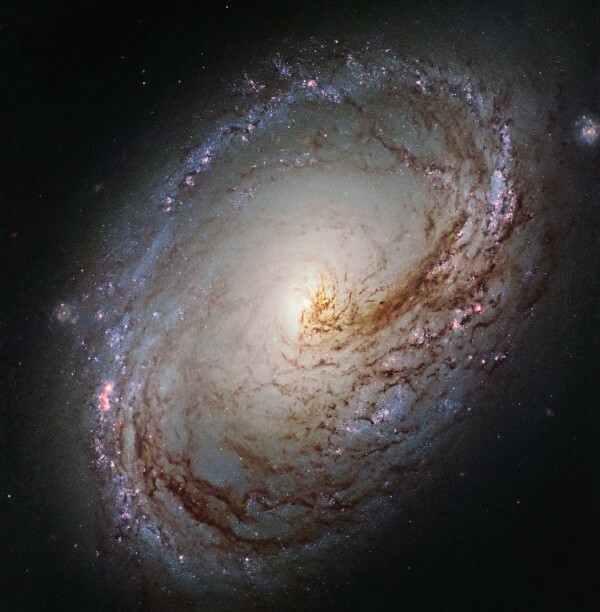 M96 (NGC3368) is a 9.9mag bright galaxy in the constellation of Leo and with M95 and M105 the dominant members of the Leo I galactic group which also includes some fainter galaxies (NGCs 3299, 3377, 3384, 3412 , 3489 , UGC 5889).Its apparent size is 7′.6 × 5′.2.Seeing it with binoculars is very difficult,but a 4inch-telescope will be a fine instrument to detect is side by side with M95 in the constellation of Leo. It was discovered by by French astronomer Pierre Méchain on March 20, 1781.Its distance from earth is about 35 million light-years. Integration time: LR(Ha)GB (L=22x1200s, RGB=11x1200s each,Ha=3x2400s) ergo a total time of 22hours.